KCI remains committed to quality with an uncompromised policy towards the usage of genuine parts and accessories that we keep well-stocked. Our team of technicians comprising of mechanics and auto-electricians serve to a 24-hr standby for immediate emergencies and rescues. 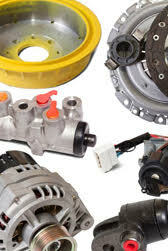 We store computerised data for all the vehicles that are serviced in our workshop that is beneficial to our customers seeking specific service summaries for any vehicle for effective evaluation reviews of maintenance trends. We study stored customer feedback in detail for eventual follow-ups to address issues to mutual satisfaction.